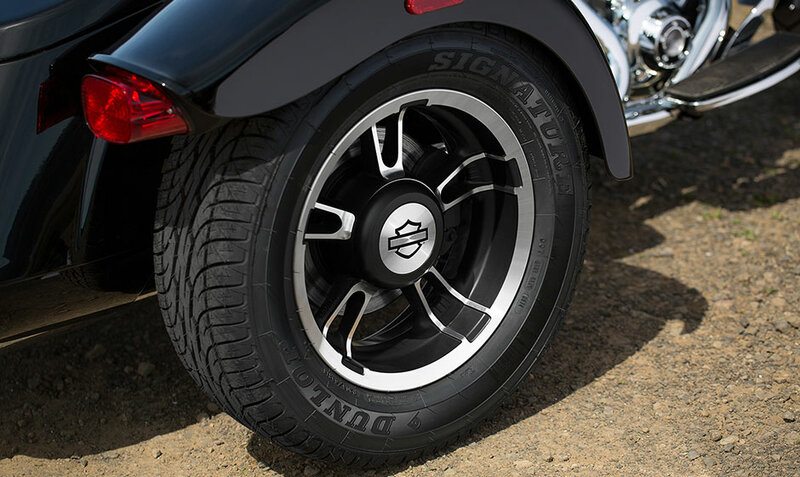 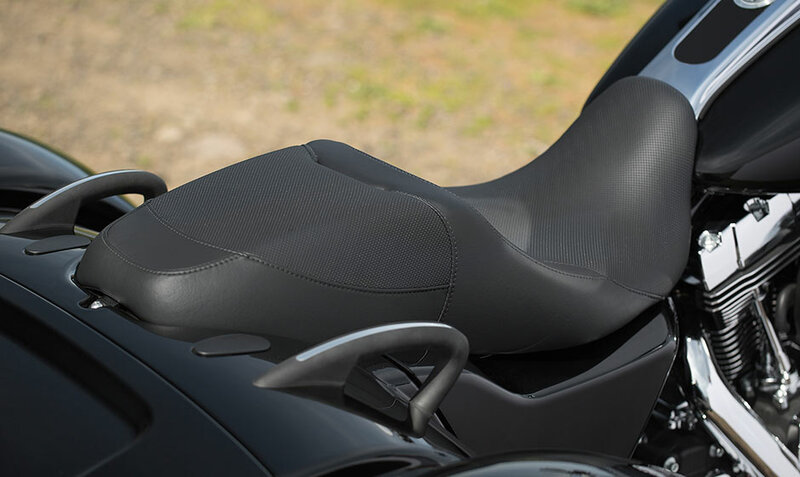 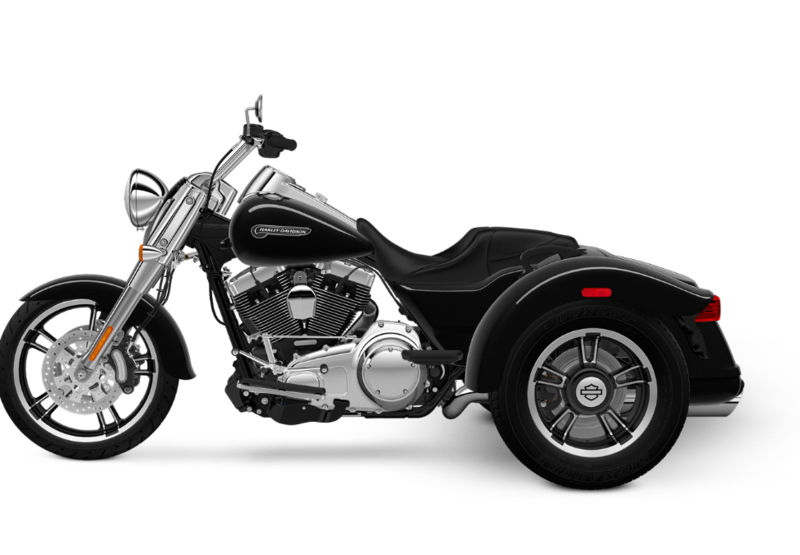 What you’re going to notice first about the 2015 Freewheeler™ is its smaller size and distinctive, hot-rod inspired design. 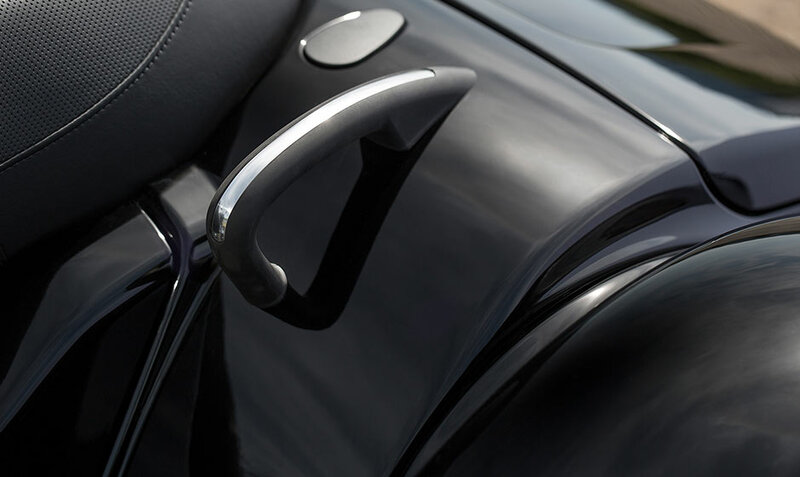 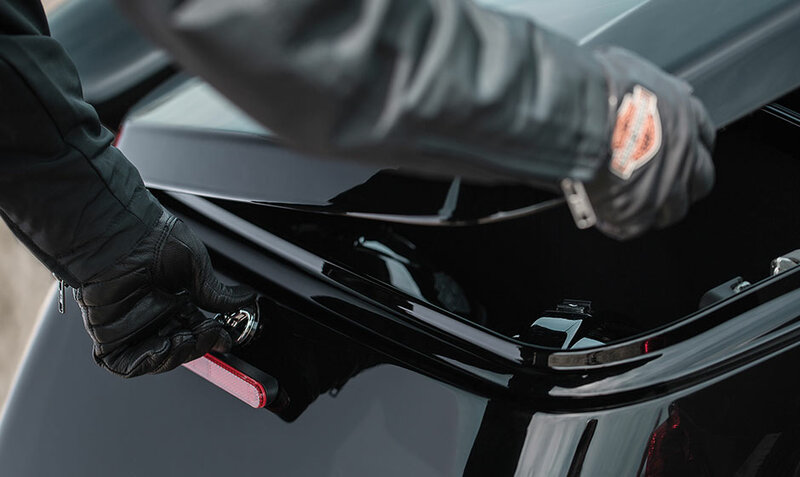 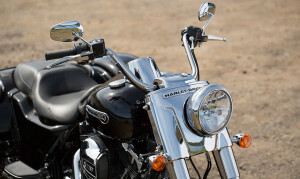 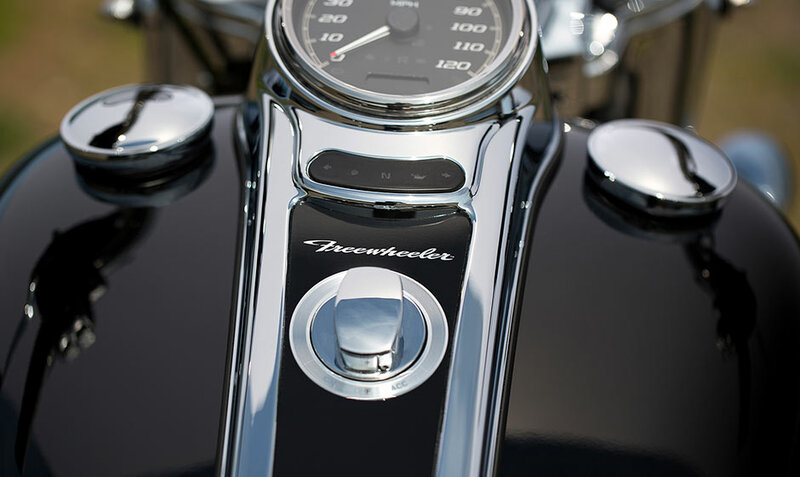 The black powder-coated cylinders, chrome rocker covers and pushrods provide that pure Harley-Davidson style, while the mini apehanger handlebars, chrome slash cut mufflers, and bobtail rear fenders add to the eye-catching, no-nonsense, custom cruiser look. 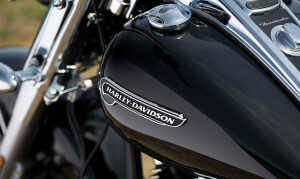 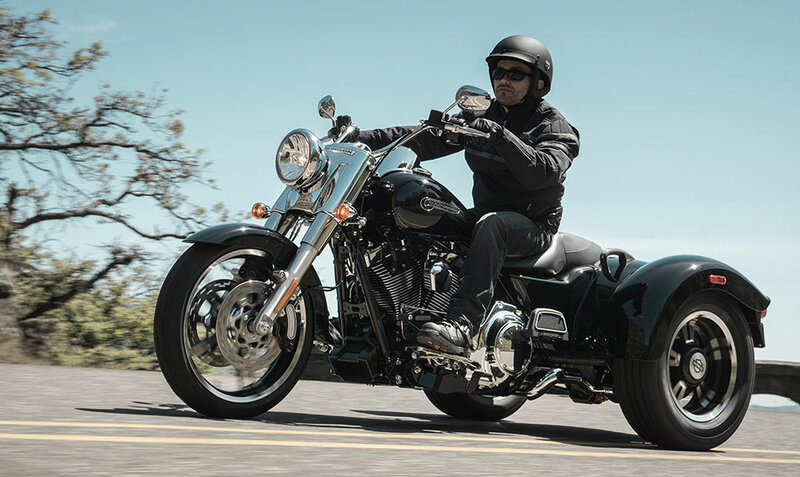 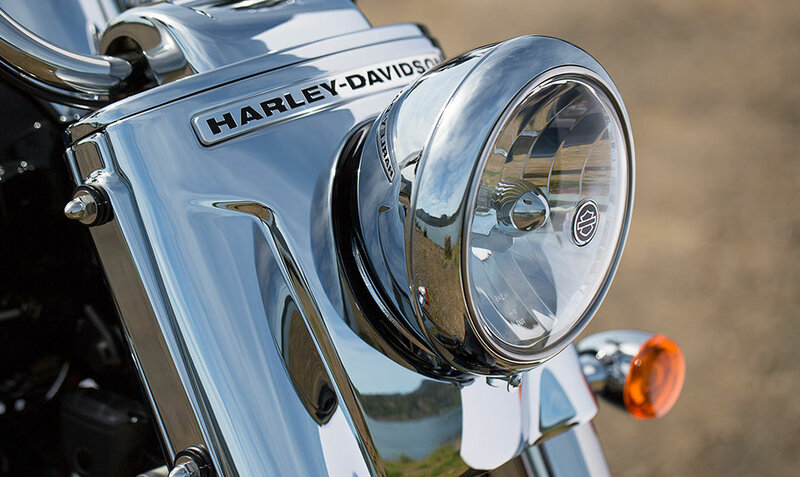 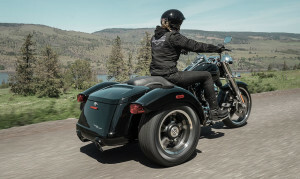 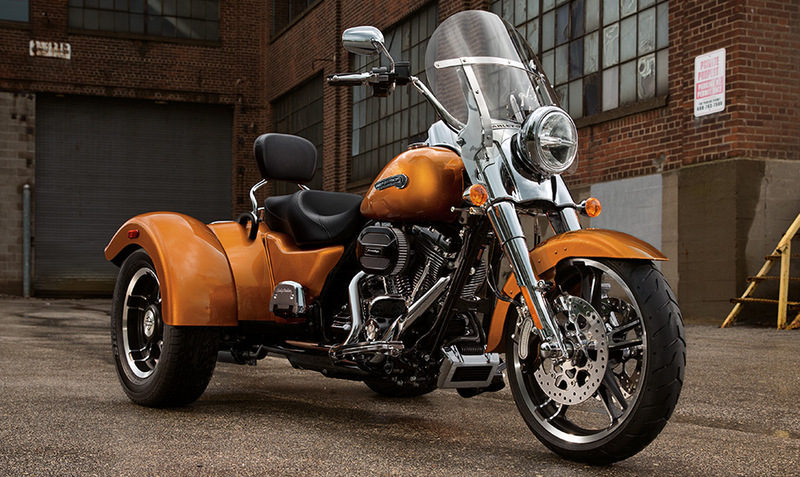 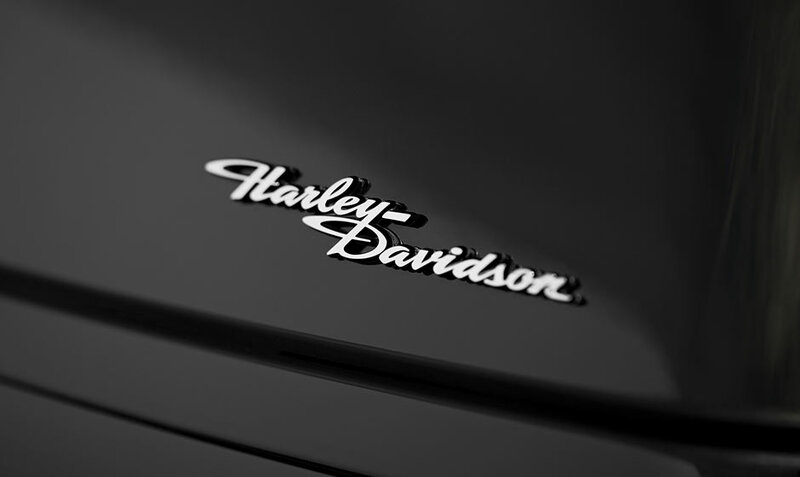 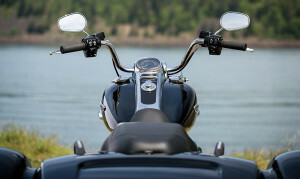 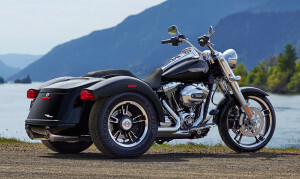 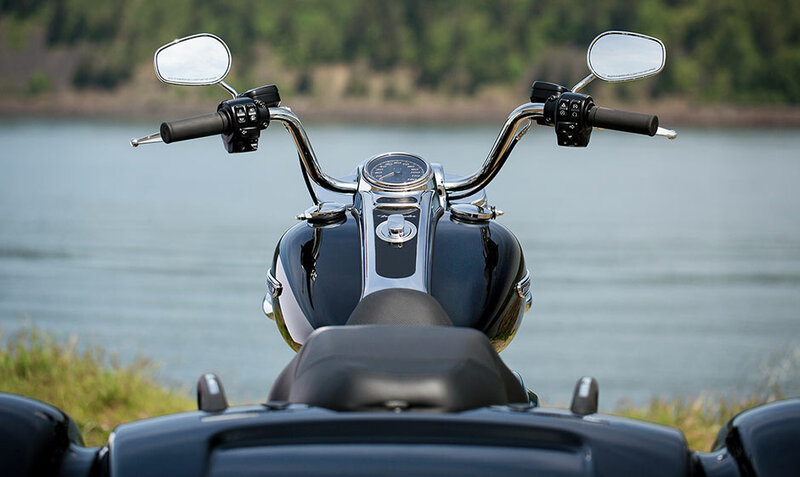 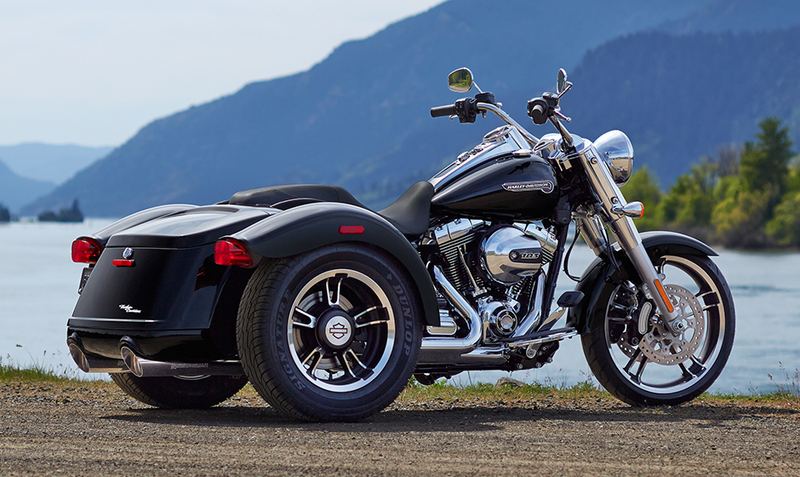 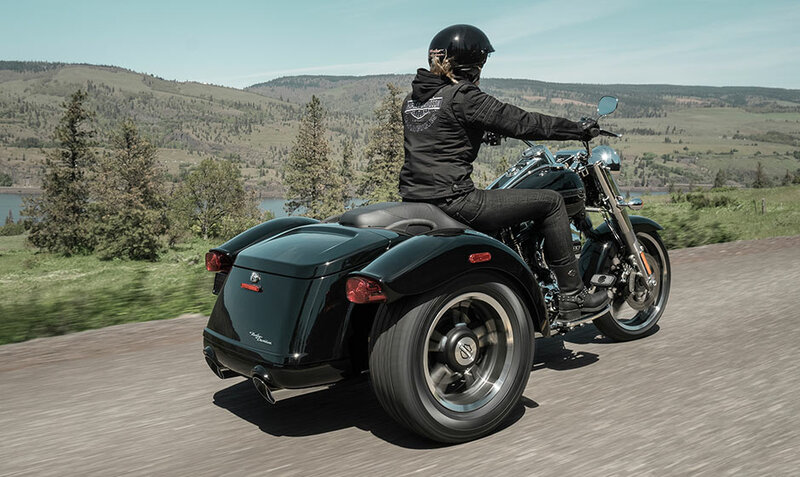 The superior Harley-Davidson three-wheel frame design delivers outstanding ride dynamics, and the ferocious Twin Cam 103™ engine paired with a Six Speed Cruise Drive® transmission gives you all of the deep rumbling power you could want. 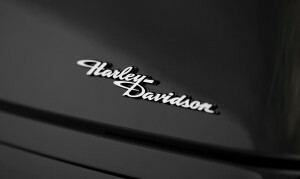 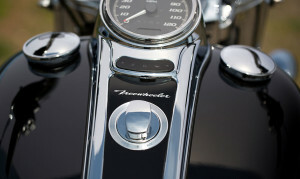 Beginning riders and seasoned vets are sure to be impressed by the all-new Harley-Davidson Freewheeler™.